Would you like to enhance your study techniques quickly and easily? Want the tools to get better results without excessive, gruelling hours of cramming? It's not always easy to force yourself to study. It takes time and energy that you don't always have. But it's a necessary step to succeed both in school and in your career. Anything that can make the process easier is a welcome addition. You can acquire sensational study skills – with a little help from hypnosis. The Study Success hypnosis session will help you unlock the ability to enjoy effective and productive study success, whenever you need it! 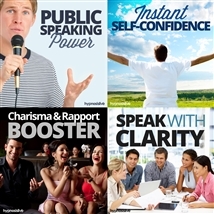 As you listen, the powerful hypnosis and NLP techniques will reprogram your mind to focus and absorb information rapidly and completely. You’ll install useful study patterns to help overcome bad habits, and gain the confidence and stamina needed to soak up data and make use of it on demand. Take your study skills to the absolute max! 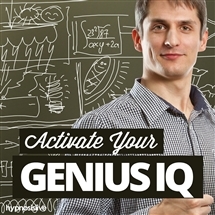 Download Study Success now to get the motivation and mental prowess you need to study like a genius.